When talking to people about cleaning up their diet and going plant based, I often hear that it’s difficult to afford a healthier lifestyle. I won’t argue with you there. Real food and organic produce is pricier than processed food made in a lab or a factory. And you will certainly see a jump in the grand total on your grocery bill. Also when you are just starting to explore healthy, clean eating and cooking it might require some initial investment to get you started. But once you get pass the first stage and get the hang of it, I can promise you that it will become more manageable. Today Nikki and I are sharing our top tips for saving money on nourishing, plant-based foods and setting yourself up in the kitchen. Eating healthy does not have to make you go bankrupt, but instead, can make you wealthy with good health and stamina. You can save the most money by saving little bits over a long time. But just like trying to lose weight with a fitness routine and diet, you have to make a commitment if you want to see results. Here are ten money-saving habits you can start right away that will also keep you healthy. Now let’s get started! First step, set a comfortable budget. Then, examine your fridge and pantry. I bet you’ve got a lot of goodies in there you long forgot about. Clean it up and organize yourself. Nikki and I have been fortunate to travel around quite a bit lately and every time we stay in a rented house, I peak around the kitchen. You would be amazed how many of us have double or even triple of everything in our pantry. 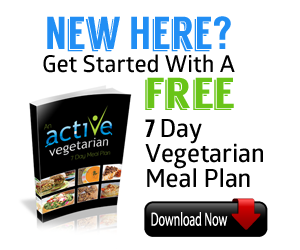 Once you are done clearing it out create a meal plan. If you want some inspiration get one HERE. Don’t skip this step!. Kitchen gurus succeed not because they are the best of chefs, but because they have a game plan. With more experience, you’ll get the hang of it. Look for produce or other grocery items with a discount due to a “close to expiry” date. For example, I just bought two bags full of apples and organic bananas for $1.00 each and a large container of organic spinach with a $2 discount because it was close to expiry. Since we eat spinach like Popeye, being close to its due date wasn’t an issue. Sure you might have to throw away couple slimy leaves but it’s not a big deal. You can always freeze it for smoothies or soups later. Look for these kinds of deals when shopping, especially if you know you will eat it quickly. Don’t hesitate to buy something that’s on sale for an outstanding price and modify your plan for the week so you can save cash. Learn the Dirty Dozen and Clean Fifteen. If you can’t afford a 100-percent organic lifestyle, don’t sweat it. Check out Nik’s post on “dirty dozen” and “clean fifteen” to help you decide how to buy your produce and where to invest your money. Shop local: Farmers markets and local produce shops. Farmers markets are a great place to buy organic foods on the cheap. In-season produce is almost always going to cost less, not to mention you’ll improve your health by eating in-season fruits and vegetables, then you can freeze or can for the long winter months. Bonus benefit: you are supporting the local economy and small farmers who generally care about whats going on with the food they grow. Also this is not only less expensive, but these foods will have a higher vitamin and mineral content, because they haven’t traveled for days in a truck to get to you. And, they will taste WAY better too! While navigating the grocery store head straight to the bulk bins and stock up! If you don’t have access to such a store in your area, shop online. Generally buying things in bulk is easier on the budget. Yes it will require an upfront investment however as your bulk food staples grow, you’ll have shorter shopping lists and an arsenal of inspiration for your home-cooked meals. Things to look for: beans, lentils, chick peas, nuts, seeds, dried fruit, spices, oats, quinoa, shredded coconut, nutritional yeast, also you can check for spirulina, hemp protein and even expensive flours. Simple skills – such as cooking grains and legumes, whipping up soups and stews, blending smoothies, dressings, and sauces – are easy to learn and will save you tons of money. These are the healthiest meals to create, keep in your fridge and freezer, and enjoy as regular staples. Batch cook foods so you can freeze some, and have plenty left for your week’s worth of dishes. 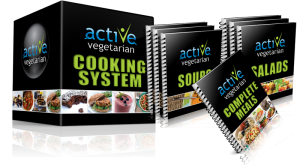 If you are a beginner in kitchen or need some inspiration our cookbook is a great tool for you. When you get rid of the credit card(s), it’s tough to overspend. Trust me. When I have $20 cash for food, that’s all I spend. It forces us to be creative and be in direct control of our $. Brown bagging your lunch is a worthwhile habit, whether you’re dieting, short on cash, or just wanting to get more control over your eating habits. If you’re rushed in the morning, get in the habit of making your lunch the night before. Your take out lunch can ruin your budget in no time, so be prepared! It’s a good habit to pack up leftovers from the night before. No need to get overwhelmed if you get carried away and go over your budget. Just sit back and evaluate where you are overspending. Amazon, Target, Daily Starbucks all that adds up!Identify where you can tighten your belt and use self control. I am not suggesting to become a cheapskate. Balance is important, so plan for days when you splurge a bit and allow yourself a treat. However make it a special occasion and not everyday thing. Make expensive baby items at home: You can save money by making my own Natural Homemade Baby Wipes, baby food, and cloth diapers. All of these items are expensive in stores and healthier when made at home. Make Your Own Natural Cosmetics/Beauty Products- This is another area to save money and get healthier options. Try using some Natural Homemade Substitutes for Conventional Beauty Products or making your own deodorant and toothpaste. As you can see, there are tons of ways to make a Healthy Plant Based plate work for your wallet if you’re ready to make some changes and put a little bit of work into it. No need to feel overwhelmed. You can start by making one new habit per week. You can do this! Share your thoughts: What are your money saving tips and tricks?